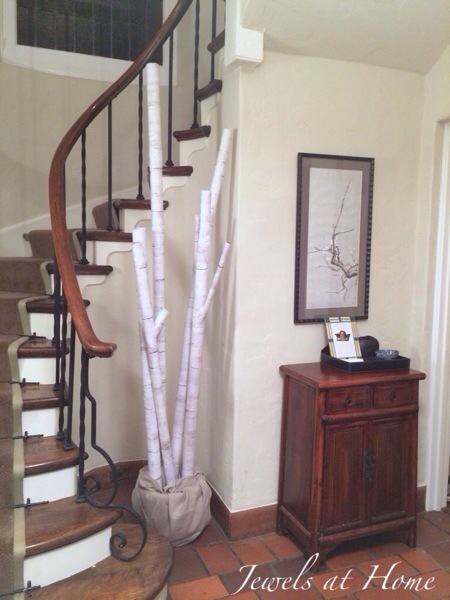 They say, there’s a fine line between genius and insanity… I think I got a deeper understanding of this when I took on this faux birch branch project. I saw these a year or two ago in a department store, and I’m not sure what possessed me, but I decided to make them for our house. It’s the kind of fantastic paper creation you might see at Anthropologie, which always has the best art in their store displays… It makes me want to buy a cute sweater… Now! But I digress. I’m working on creating outdoorsy and white-themed Christmas decorations this year, like these felt poinsettia ornaments and homemade clay ornaments. 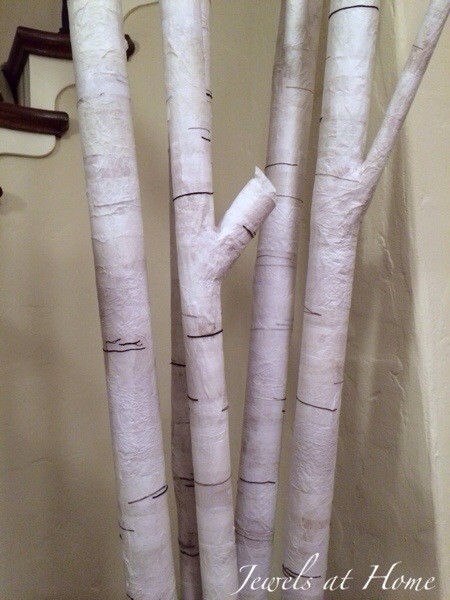 I had several large cardboard tubes left over from buying fabric, and I got inspired to transform them into a little homemade forest. I have to say that I was super-excited when I started, and by the end, I was going blind from visions of decoupaged tissue paper, but I think it was worth it in the end. 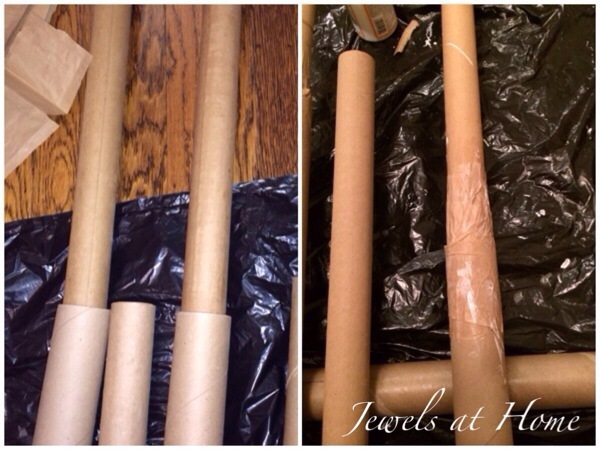 Cardboard tubes. The “trunks” are made from large tubes for rolling fabric. 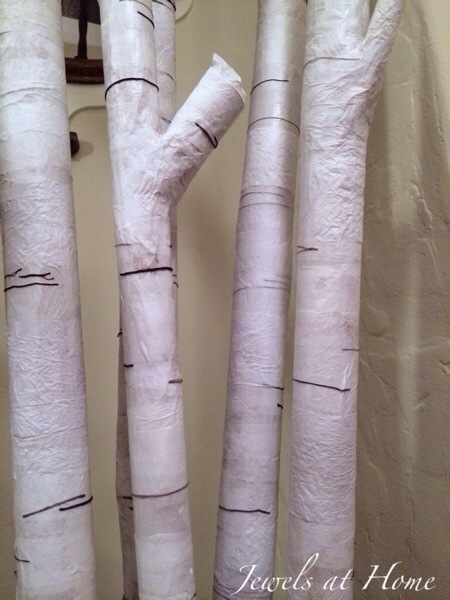 The “branches” are smaller tubes, including toilet paper and paper towel rolls. To get started, created the shapes of the trees. 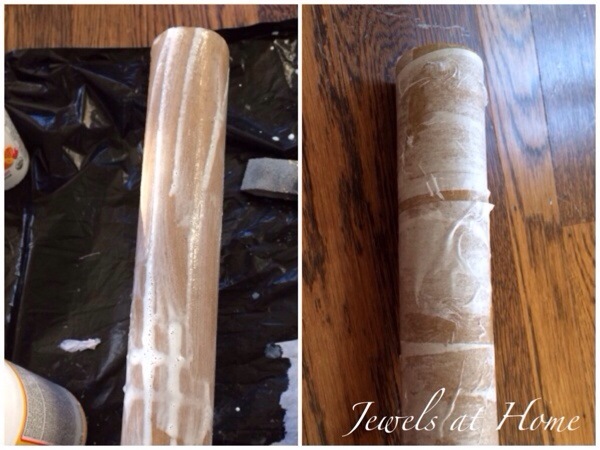 I used brown paper and Mod Podge to join some long tubes together, so that the lengths would vary. 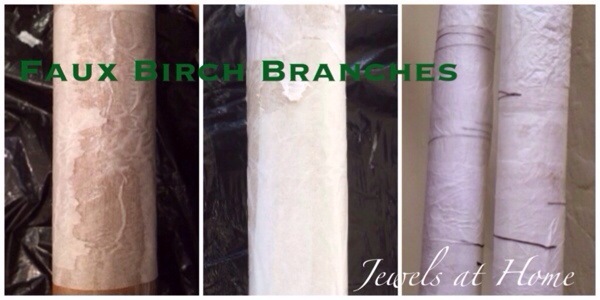 I also used the same technique to add branches to some of the trunks (pictured below). 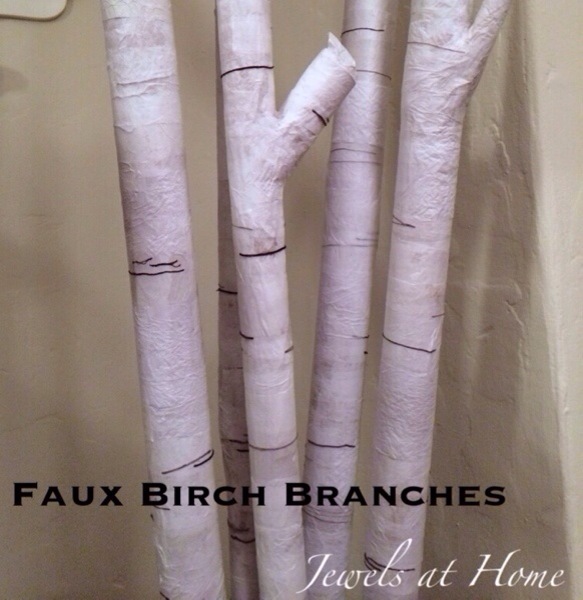 Next, I started creating the look of birch bark, inspired by instructions on making fake birch bark over at Kitsch Designs. 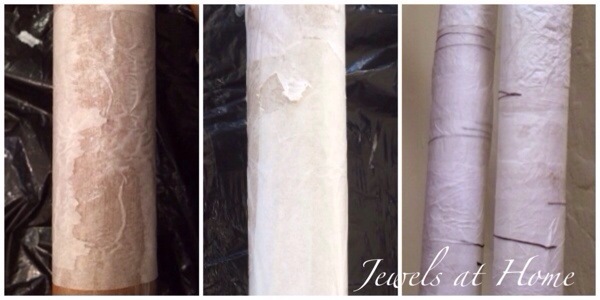 The first step is to cut the tissue paper into strips – I made a variety ranging from about two to four inches wide. 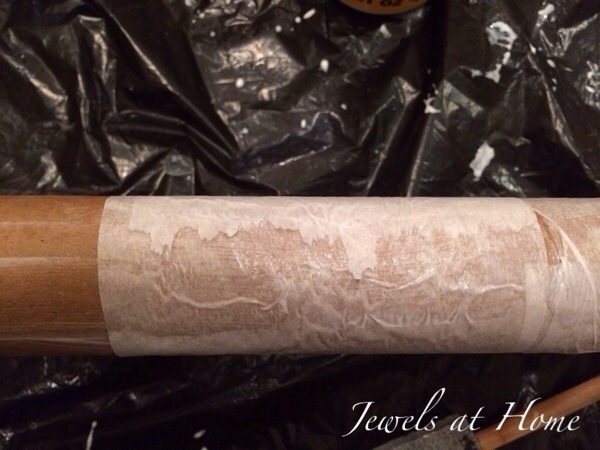 Then, paint some Mod Podge on the cardboard and wrap strips of tissue paper around the tube (pictured below). 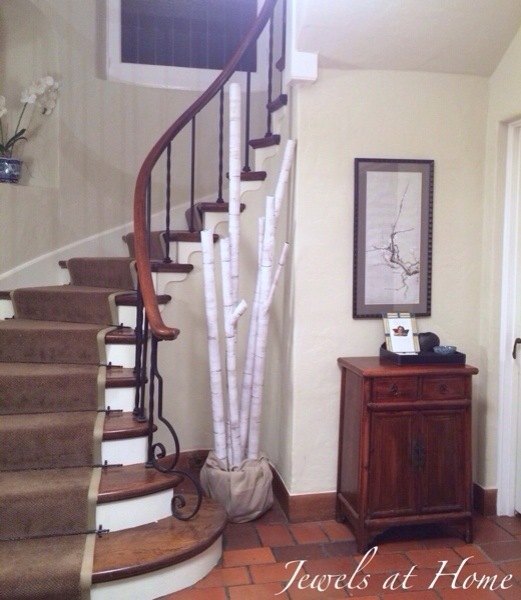 I overlapped the paper in places and left gaps in other places, to give a textured look to the branches. It looks cool when you tear the wet paper and get a rough edge like this! Keep adding layers of paper, overlapping them, so the “bark” is textured and natural-looking (right two pictures below). I estimate I used a total of about 4 layers. On the top one or two layers, add some short strips of embroidery floss (left picture below). I cut this into different lengths and also separated some into strands, so there was a lot of variety. The floss stuck well to the paper using the Mod Podge. 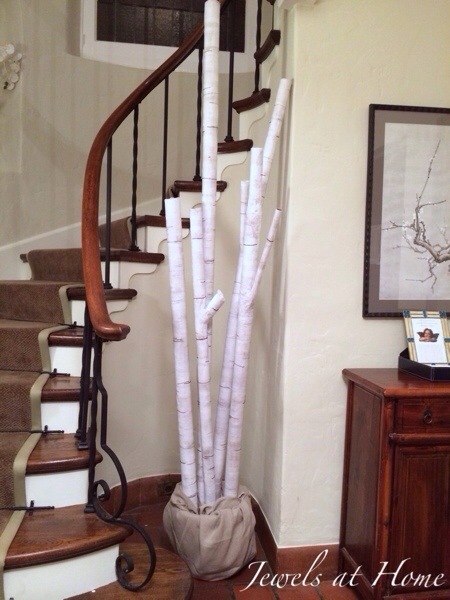 I “planted” the finished birch branches in a pot wrapped in fabric in our font hall. 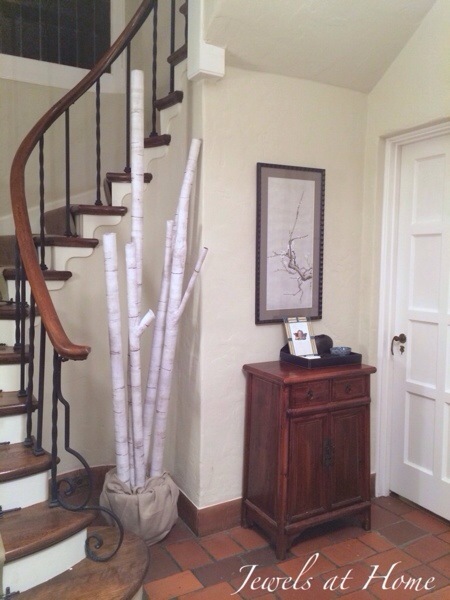 I think it would look great with the addition of some greenery and/or ornaments, so I’ll fiddle with that a bit more, but so far, I’m excited with these wintery additions to our foyer. 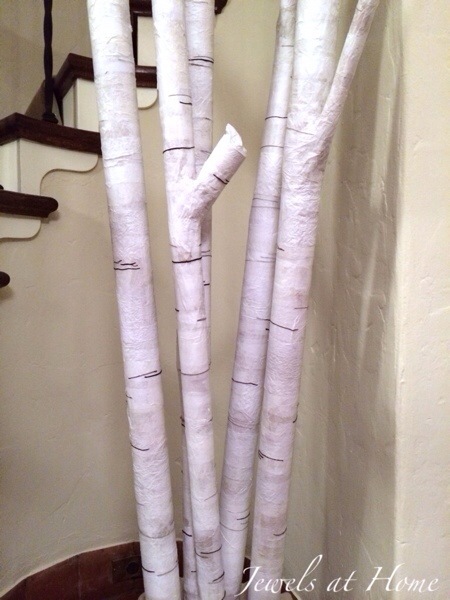 After the hours that went into this project, I’ll be keeping these faux birch branches around. I haven’t decided if I’ll keep them long for next Christmas or maybe cut them short to display in the fireplace. Let me know what you think! These are great! I love your idea of using embroidery floss. It has more texture than paint.